Over the past several weeks, Apple has been expanding the preview program for iWork for iCloud so nondevelopers can give it a try. This online version of the iWork suite offers Web-based versions of the three iWork apps--Pages, Numbers, and Keynote--enabling you to create and edit iWork documents stored in iCloud from almost any Web browser. I've spent several hours playing with the iWork beta and my initial impression is that--beta bugs and caveats aside--the online versions of these apps could easily become the document, spreadsheet, and possibly even presentation tools of choice for almost anyone with an iCloud account. I tried the apps on both a Mac and a PC. (Oddly, though the apps work extremely well with Internet Explorer on a PC, iWork for iCloud doesn't currently support the Windows version of Safari.) Given a decent Internet connection, the apps were quick, editing proceeded as I expected, and the overall experience nearly matched what I typically get with a desktop app. 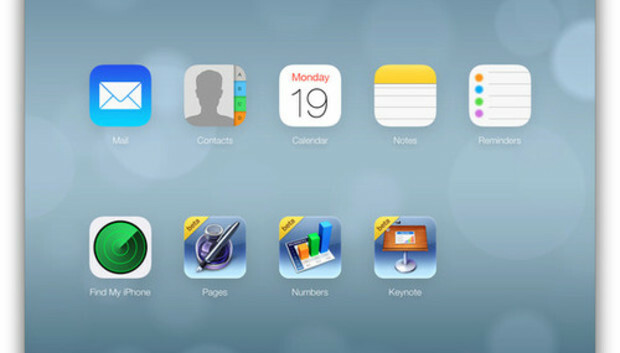 When you log in to the iCloud beta, three iWork buttons appear beneath the buttons for Mail, Contacts, Calendar, Notes, and Reminders--for online versions of Pages, Numbers, and Keynote. Clicking one of these opens a new window displaying the app's documents stored in iCloud, along with a single button for creating a new document. Clicking the Create Document button opens a small window where you can choose from more than a dozen templates or create a new blank document. Once the document is open, you can begin working on it just as if you were using the desktop app. Each app lets you add new documents to iCloud by dragging an iWork or Microsoft Office document from your desktop to the Web app's document window. If you try to open a document that hasn't completely synchronized with iCloud--whether you use the Web, Mac, or iOS version of the associated app--you won't be able to open it until it has completely uploaded. One drawback if the beta tools is that they don't let you print directly from them. Instead you have to use the app's share button to create a PDF, Pages, or Word document. And after creating the document type of your choosing, you must email it to yourself using iCloud's Mail app. Regrettably you can't directly download the resulting document. For example, you can't add tables to a document or edit the contents of table cells. But you can view the table and its related data without any problem. Similarly I couldn't edit or otherwise make changes to images and text boxes very close to the margins in some of the documents I had created using the desktop version of Pages. Numbers is my go-to tool for keeping track of my income and expenses when I travel for business, and Numbers in iCloud handled my existing expense forms without a problem. Those forms include several tables that refer to other tables and use calculations with figures derived from data spread across multiple tables and cells. The calculations aren't particularly complex, but I was concerned that the forms might look funky or that the calculations wouldn't work as expected. As matters turned out, everything worked perfectly. Like the Mac version, the Web app offers access to over 275 functions--more than enough to handle most everyday needs. Still, the iCloud version of Numbers has its limitations. For example, though you can view charts created in Numbers on your Mac or iOS device--and you can update those charts by changing table data--you can't change the charts' formatting in iCloud. That means you can't turn a bar graph into a pie chart or change it from 2D to 3D without opening the doc in the iOS or Mac version of the app. Apple's beta notes indicate that more-extensive chart functionality is in the works, however. When viewing a spreadsheet in landscape mode on my 13-inch MacBook Pro, I found that the Formatting Panel--a small sidebar visible in all three apps that allows the user to format objects in documents--encroached too much on my workspace. I could completely hide this panel, but I couldn't resize it to take up less space, nor could I perfectly resize the spreadsheet to see everything at once. The iCloud version of Keynote has the same 12 templates for creating new presentations that you'll find in the iOS version. In fact, the Web and iOS versions of Keynote are almost perfect replicas each other, except that the Web version has a more limited set of tools. Most of the presentations I imported from the Mac app needed some tweaking, particularly with regard to build actions. For example, when I used the Anvil action in a presentation on the Mac, that action did not occur on the Web version; the object just appeared on the slide when the slide loaded. Likewise, items with timed builds did not work correctly. This isn't necessarily a big deal, but if you plan to present an existing project from iCloud, you should probably tweak it on the Mac before doing so. Overall I'm impressed with the beta version of iWork in iCloud. Though their feature sets aren't yet as complete as it should eventually become, you could easily use them on a daily basis. I can't wait to see what the final versions offer.